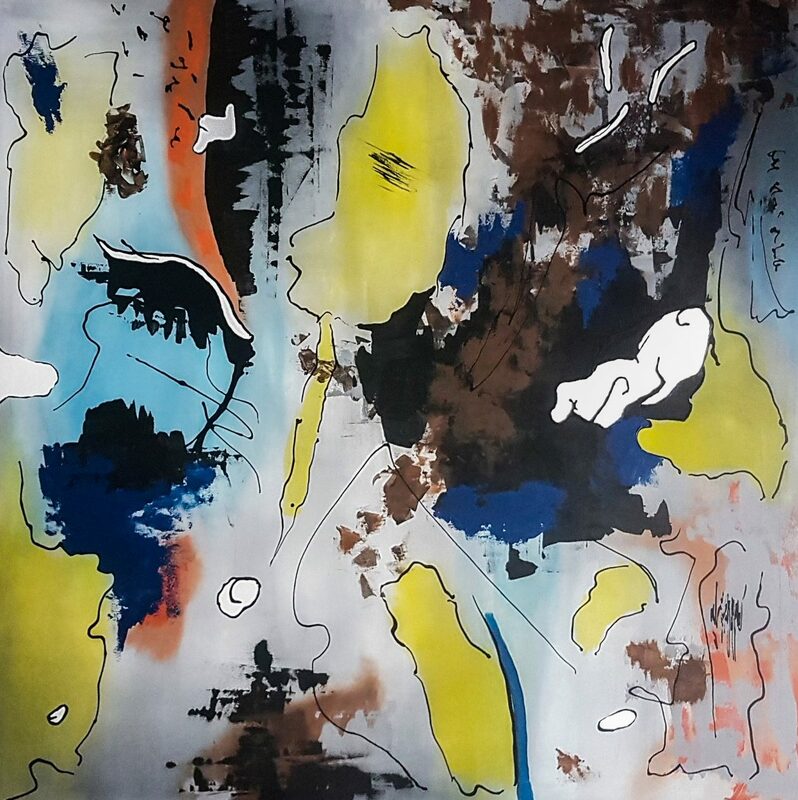 Traffic Mind is a modern abstract painting in a big format on canvas. Traffic mind is a painting from the serial Fiction elements. A global impression of the painting "Traffic Mind" 160x160cm.